Furnish your office space or living room with this lovely coastal-cottage bookcase with solid wood turned feet. Store your household accessories in the hidden storage behind louver detailed doors. The drawer with patented T-lock assembly system features metal runners and safety stops, while the enclosed back panel has convenient cord access. Solid wood knob detailing adds a nice final touch to this charming piece. 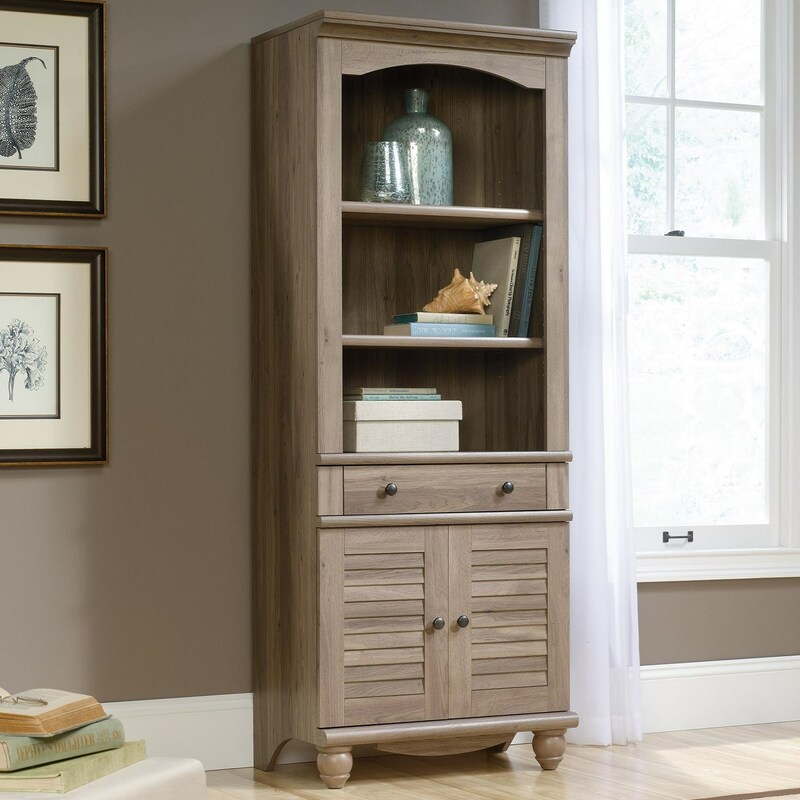 Place between two matching bookcases in this collection for a spacious, charming storage piece to keep your home clean and organized. The Harbor View Antique Finished 2-Shelf 2-Door Library by Sauder at Sam Levitz Furniture in the Tucson, Oro Valley, Marana, Vail, and Green Valley, AZ area. Product availability may vary. Contact us for the most current availability on this product. The Harbor View collection is a great option if you are looking for Cottage Coastal furniture in the Tucson, Oro Valley, Marana, Vail, and Green Valley, AZ area. Browse other items in the Harbor View collection from Sam Levitz Furniture in the Tucson, Oro Valley, Marana, Vail, and Green Valley, AZ area.